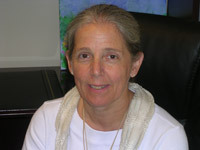 Sally C. Johnson MD is a Senior Lecturer in Law and teaches seminars in Psychiatry and Law. Dr. Johnson completed career service as a Captain in the United States Public Health Service where she served as a psychiatrist and administrator for the Federal Bureau of Prisons. During her tenure there she developed their forensic evaluation and training program and served as associate warden for health services, administrating inpatient and outpatient medical and mental health programs. She has extensive experience conducting forensic evaluations and serving as an expert witness for the federal courts and has consulted with federal and state agencies and programs about psychiatric care and mental health needs of incarcerated individuals. Dr. Johnson is currently a Professor in the Department of Psychiatry at UNC Chapel Hill. She helped to develop the recently launched Forensic Psychiatry Program and Clinic. She conducts forensic evaluation in criminal and civil cases and continues to consult regarding issues at the interface of Psychiatry and Law. Dr. Johnson also teaches within the psychiatry training programs at both UNC and Duke at the UNC Law School. Dr. Johnson received her BS from Pennsylvania State University, her MD from Jefferson Medical College and completed her Psychiatry training at Duke University Medical Center. She is board certified in Psychiatry and Forensic Psychiatry.